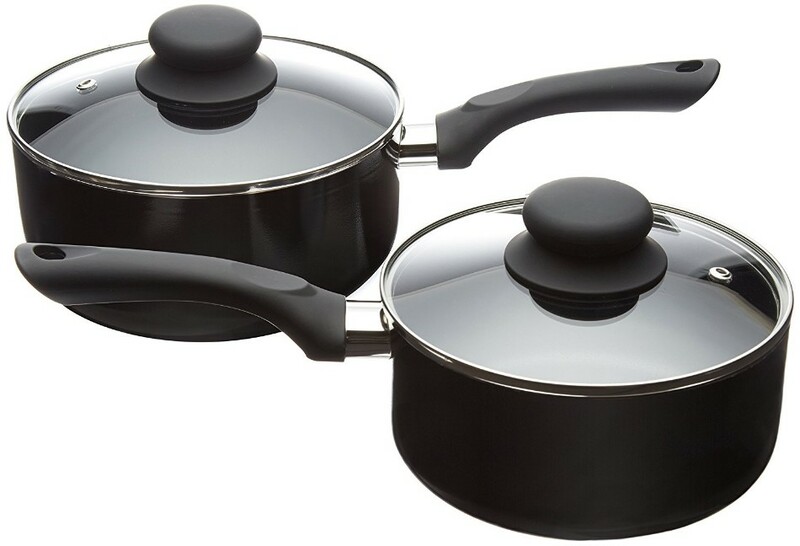 10 Piece Non-Stick Cookware Set Just $22.11! Down From $48! You are here: Home / Great Deals / Amazon Deals / 10 Piece Non-Stick Cookware Set Just $22.11! Down From $48! 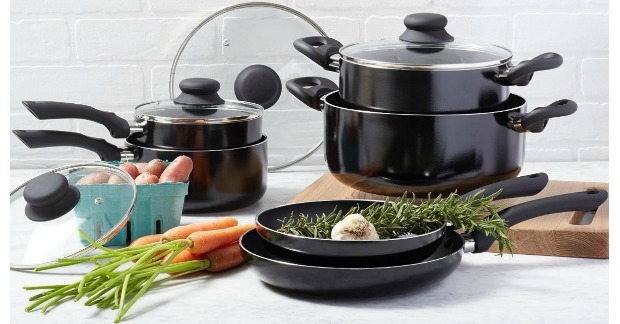 If you’re in the market for some new cookware – this is a great deal! The price is right! At this price it would be great to grab it and put it in your gift closet! It would make a nice set for newlyweds, or the colleg bound, or someone setting up housekeeping! You can get this 10 Piece Non-Stick Cookware set for just $22.11! Down from $48! Jumpstart healthy cook-at-home habits with this AmazonBasics 10-piece nonstick cookware set. 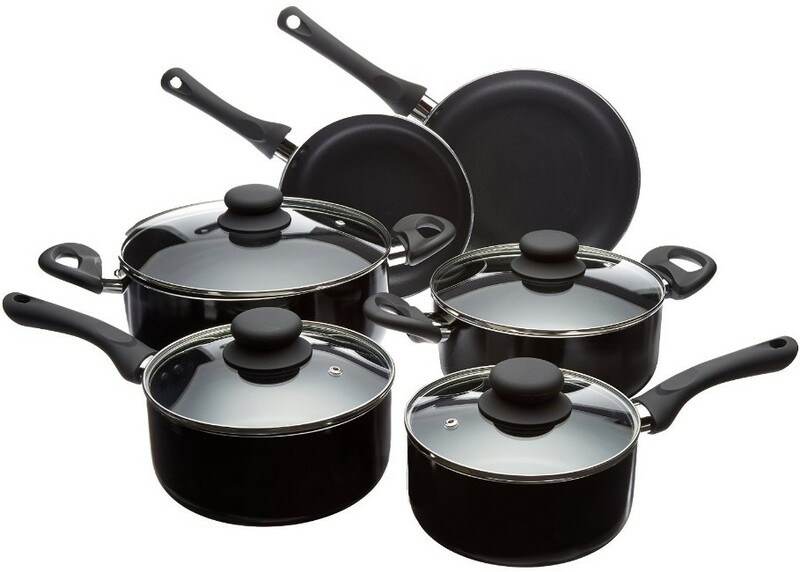 Loaded with several everyday essentials, the collection includes fry pans, sauce pans, and casserole pans. The set’s secure-fitting, tempered-glass lids effectively trap in heat and moisture, plus allow for checking on food at a glance. 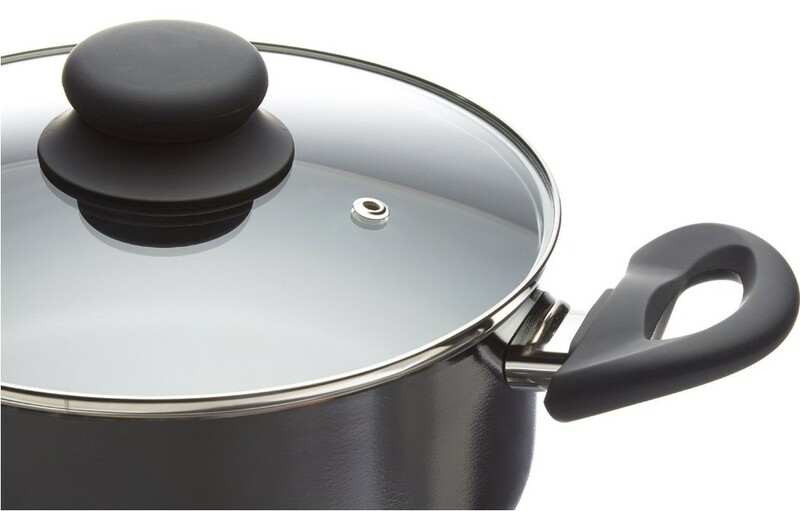 Whether it’s the long handles on the sauce and fry pans, the side loop handles on the casserole pans, or the knob handles on the lids, the soft-touch handles are designed to stay cool during use, while also promoting a firm, comfortable hold. The end of a dinner party or holiday meal doesn’t have to mean serious scrubbing or overnight soaking. The pans in the AmazonBasics nonstick cookware set clean up quickly and easily by hand or in the dishwasher.